Remember the pretty carrot Pupcake Maggie had for her birthday last week? Mom bought that from a local bakery, Family Dog Bakery, a new Etsy Shop that just opened up in September. Well, what I didn't tell you was that mom waited for the last minute to order it and Donna, the nice lady from the bakery delivered it right to our house on Maggie's birthday! How's that for customer service!!! Here are just a few of the yummy treats she brought for us! Not only are they delicious but they are healthy! They contain no preservatives so keep them in the fridge BUT make sure you hide them from your humans or they will "mistake" them for humans treats! Check out the cake in the bottom right hand corner, HOLY GINORMOUS CAKE!!!! 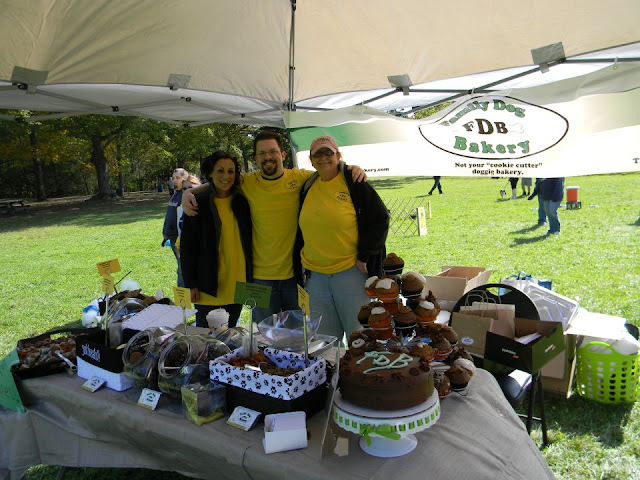 We are three friends who are passionate about dogs and food and who believe that not only can dog treats be good for your family member, but that they can also taste good! 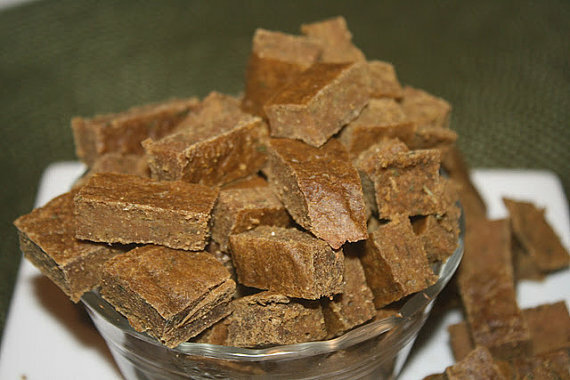 All of our confections are made to order, and can be customized to be as unique as your Family Dog...we use only the ingredients absolutely necessary to create the freshest, healthiest, best-tasting treats possible, and will deliver or ship them for free." I bet you want some treats for yourself. Well, we would share ours with you BUT we ate them all! BOL! Don't worry, you can win some for yourself! The nice folks at Family Dog Bakery are giving away a holiday gift basket to one of my readers! Hurry on up and enter you don't want to miss out! The giveaway ends on Thursday, Dec. 1st at 9pm EST. Only open to US residents. Winner will be chosen by random.org and will be contacted via email. You will have 48 hours to respond or another winner will be chosen. Disclosure: I was not given any compensation for this post, all opinions are mine. I am drooling over all of these treats!! Woof! Woof! All along I thought your mom made the barkday cake. Delish! n Tasty!!! Great to be provided with good Customer Service. Will pass on the giveaway! Oh Don't forget my Tasty Tuesday Blog Hop this coming Tuesday 11/22. Make sure to add this post/url to the blog hop. Looks delicious. I would probably buy one of it. Mom and I are DROOLING!!! We want one of evFURRYthing - but I WOULD share! We've liked them on FB and even pawed woo had sent us! ALL of the treats look so very yummy!!! 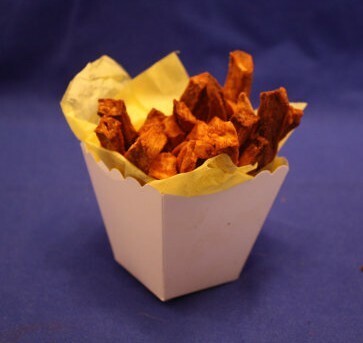 But if I had to pick one, I would choose the sweet potatoe fries. Those look just like the ones my Mommy likes to make. the mutt cake balls looks good! What a fun post! We have a local doggie bakery so we will pass on the giveaway this time. Love those photographs. I don't normally drool - but I've got the drool on right now!! I'd love some of those Carrot Pupcakes - Carrots are my favourites!! wow. i wish i never ate that poisoness mushroom cuz these treats would BE amazing! you are a such a pretty color! Well, the computer is now covered in drool...yum!!! Oh my gosh, those treats are yummylicious. Be sure to stop by our blog to enter to win some great Planet Dog items! Well hello again! I subscribed via GFC. We went over to the bakery's site and without a doubt we want Santa to bring us the Carob-Peanut Butter Pupcake. Mommy wants one too! BOL! My Maggie would like Santa Paws to bring her some DogNut Cookies. I like the Family Dog Bakery on Facebook. I follow you on GFC as cstironkat and I like the DogNut Cookies. My dogs would be so happy if Santa Paws brought them some of those. 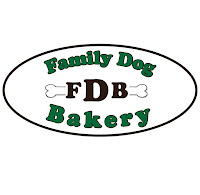 I Like Family Dog Bakery on Facebook as Kelly Ann T.
Can I just eat them? :) Followed your blog, and Baby the Maltese would love to win some donuts. 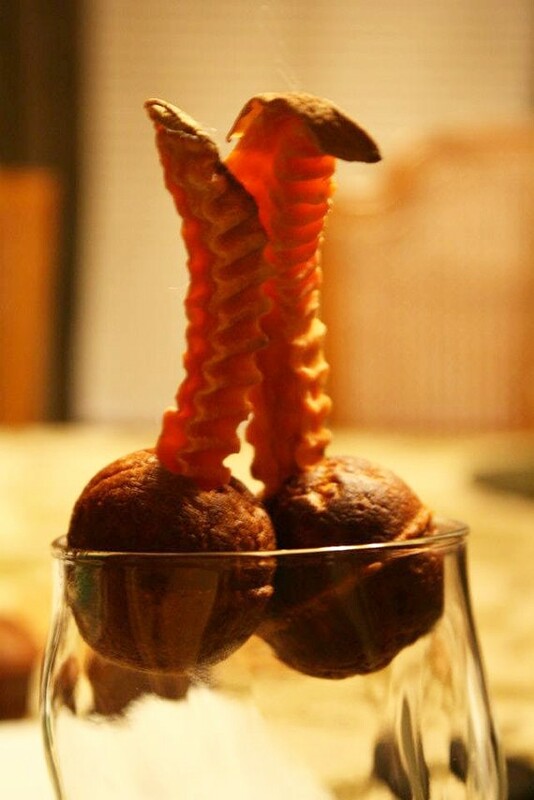 I would be interested in the Liver Brownies or the sweet potato fries. The Mutt Cake Balls would be a welcome present from Santa Paws. I would like the holiday gift basket! sub. to your blog feed! Oh I would want Santa Paws to bring MuttFins for my dog Murphy! He would love those I think! I would love for Santa Paws to bring Buster some Mutt Cake Balls. We would like the mutt cake ball. 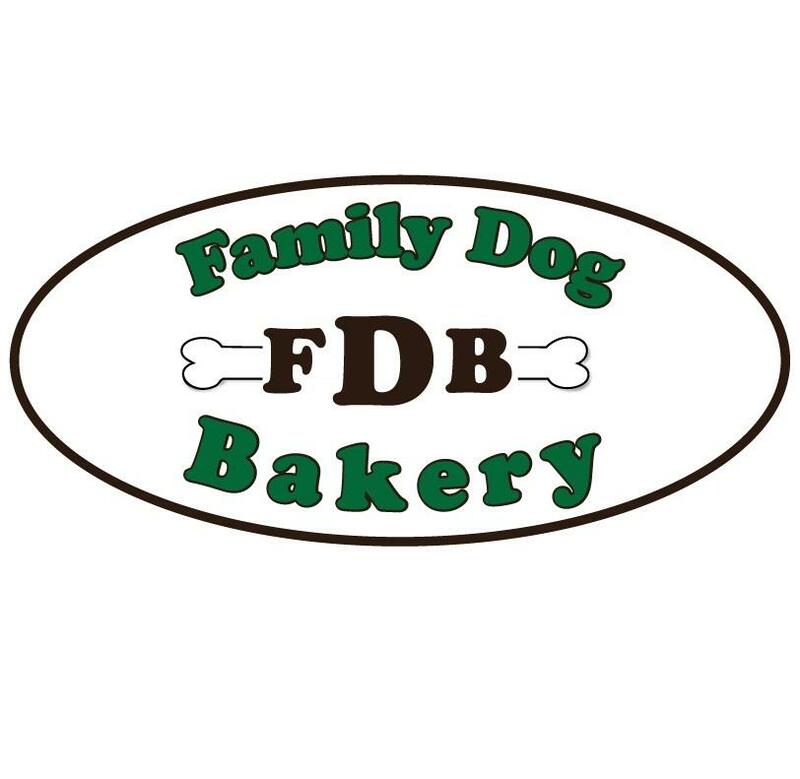 Like the family dog bakery on fb. My dogs would love the Carob-Peanut Butter Pupcake! I like Family Dog Bakery on Facebook. My grand-dog would probably love The Bounty of Treats. I like the family dog bakery on fb! I would like DogNut Cookies (also just wanted you to know the pictures on your blog are beautiful, good job). I like Family Dog Bakery on facebook as Janel Myers. I subscribe to your blog feed via Google Reader. I think my baby Natasha would love for Santa Paws to bring her some Muttcake balls!!! ((1955nursehjc4me(at)myway(dot)com)) TY! I shared this giveaway (HollyCunningham) on FB ((1955nursehjc4me(at)myway(dot)com)) too!!! Wow!!! I failed miserably at my own carob doggie treats but their Carob-Peanut Butter Pupcakes look fantastic!!! GFC follower! We'd love if Santa Paws brought us Old fashioned Cake DogNuts! Follow Family Dog Bakery on FB (Mandy Peters Kauffman). The dognuts or the sweet potato fries. What a cute company. Subscribe to rss feed via google reader.